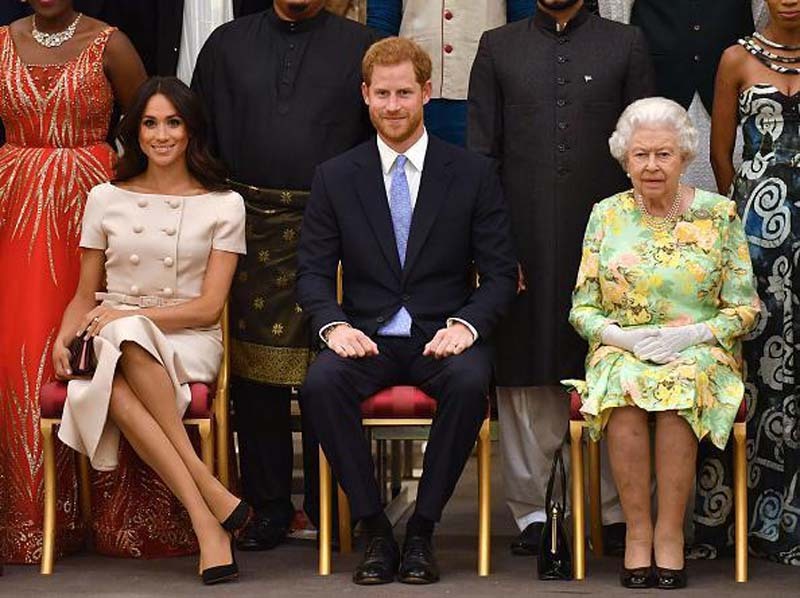 Queen Elizabeth II is very generous to Prince Harry and Meghan Markle. According to Harper's Bazaar, the Queen is giving the Duke and Duchess of Sussex another property. This time, the monarch wants the couple to occupy the Adelaide Cottage in Windsor Castle as their own. [post_ads]The Queen reportedly "offered the Grade II listed property to the newlyweds as a gift." Prince Harry and Markle had been there for viewing and they liked it. The couple will likely move in there soon. "There are seven gated entrances and exits to Windsor Castle so the newlyweds could come and go without worrying about being photographed," a source said. "The main bedroom in the generously sized cottage boasts a coved ceiling with gilded dolphins and rope ornament from a 19th Century Royal yacht. There is also a marble Graeco-Egyptian fireplace." The Queen already gifted the Duke and Duchess of Sussex the Nottingham Cottage. There were also rumors that she will give them York Cottage. However, according to Marlene Koenig, the reports were not true. "This story is utter nonsense," Koenig wrote on Twitter in response to Metro's report that the Queen gave the York Cottage to Prince Harry and Markle as a wedding gift. "I was at Sandringham nearly 3 weeks ago, asked one of the security people. was told no. The house is the estate office for Sandringham, also right on the tourist path (lake walk) no security. I took these photos from other side of small lake." Her Majesty owns several estates and she usually gives properties to newlyweds. For instance, she also gave Prince William and Kate Middleton Anmer Hall in 2011 as a wedding present. The Queen also gave Princess Eugenie and her fiancé Jack Brooksbank a three-bedroom Ivy Cottage in Kensington Palace. The couple moved to the said estate in April. So, Princess Eugenie and the Duke and Duchess of Cambridge, as well as the Duke and Duchess of Sussex are now neighbors. In related news, it was reported earlier that Prince Harry and Markle just signed a two-year leased for a home in the Great Tew Estate in Cotswolds. The couple has been looking for properties in the area since October. "Meghan loves the Cotswolds and fell in love with the estate the first time she went," the source told Us Weekly. "They recently had security cameras installed around the perimeter."